Online stock option trading is now possible today thanks to one of the best developments of the late 20th century - the advent of the internet. It has opened up the world to so many people and provided alternative means of communication and sources of information to millions. Along with the online world has come a new way to do business. Most office workstations these days are connected to the internet. So are the majority of private homes in the developed countries of the world. Whether you're looking to buy something online, find your perfect match or simply conduct business transactions, the internet has revolutionized the world. 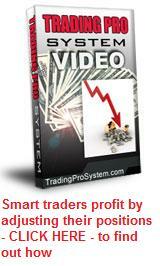 For online stock option trading enthusiasts, the internet has changed the way we do business. Once upon a time, you had to phone your broker and they would place an option trade for you. Because a salaried human being was involved in the transaction, the costs were higher and the process took longer (ever been waiting for someone to answer the phone just before closing time?). These days, you can login to your favourite charting software, analyze live stock market prices together with any relevant news, save your trendlines and indicators for future reference, then login to your broker account (good brokers provide live charting services so this extra step may be unnecessary) and execute your trade using their platform. Within seconds you receive confirmation that your trade has been successfully placed. And because it has all taken place online, the brokers' fees are about half what you would pay if you had to phone someone. The internet gives you the choice of online stock option trading from your own local market if you're a non-US citizen, or a much larger market with greater liquidity such as the US stock exchanges, from any country in the world where there is an internet connection. One of the well known stock option trading platforms is OptionsXpress. They are focussed on the large USA markets and provide free live charting services, as well as other relevant information critical to option traders, including the ability to search for selected stocks and options using certain filters, analyze volatility and execute trades online. But if you're looking for an online broker that provides the best trading platform, I haven't seen anything better than ThinkorSwim. They include advanced free risk analysis graphs and the Prophet charting system as part of their service. Yes, the internet has changed the way we do business! It has allowed thousands of entrepreneurs to choose to work from home, avoiding the rat race, trading the markets from the comfort of their homes. The leverage and advanced strategies available in option trading allow a successful trader to make consistent cashflows, in many cases providing a better income than they previously received as employees. With the right online stock option trading system and a business like approach, you can take advantage of the one certainty about all options contracts. You will safely trade options with confidence, providing a regular income stream for the rest of your life.